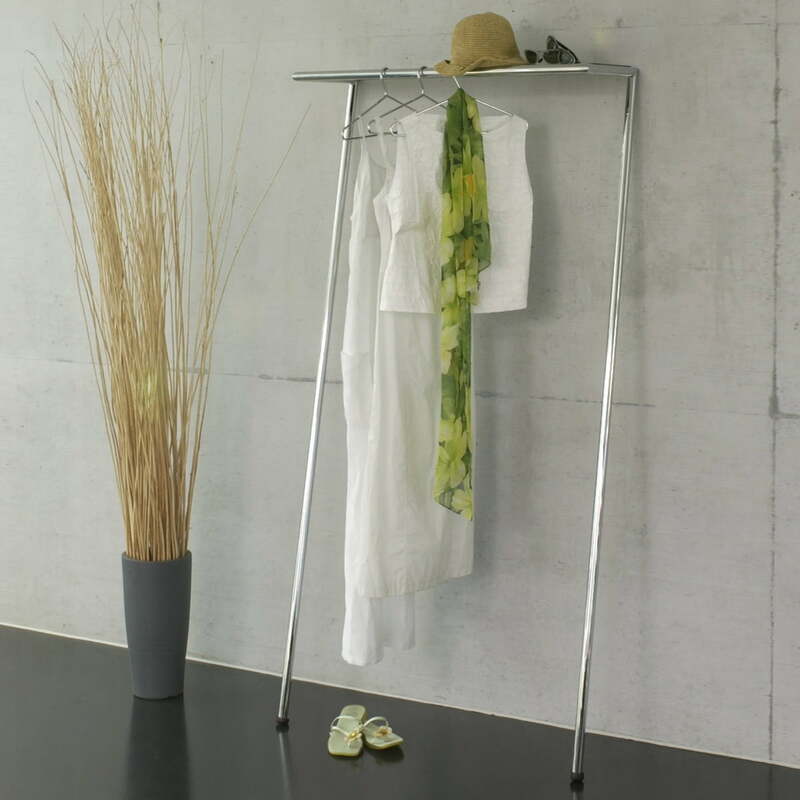 The Zen Lean-On Coat Rack leans against any wall without mounting. 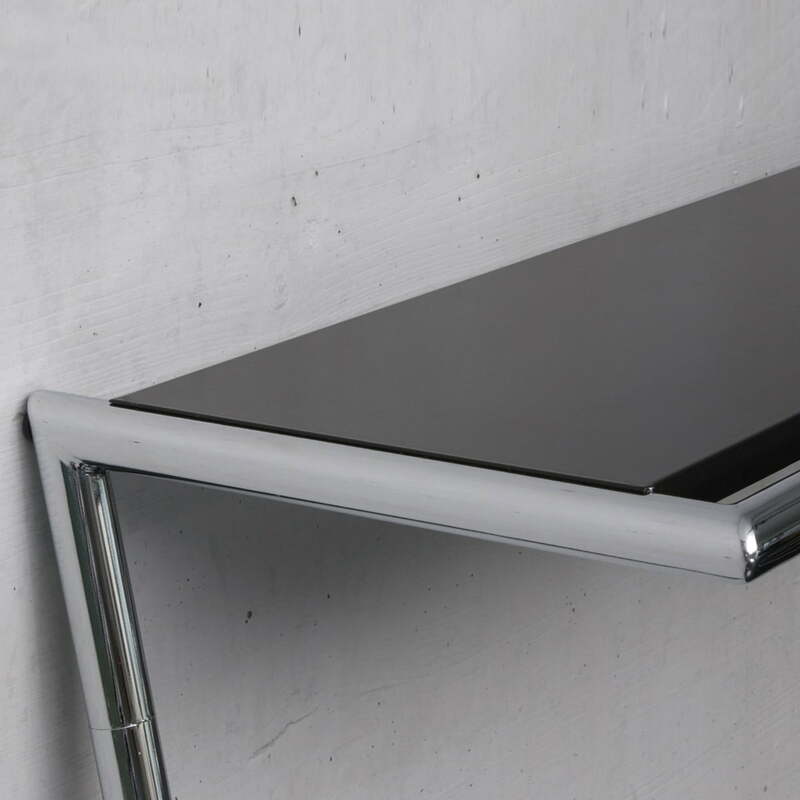 The integrated upper steel panel serves as a shelf for hats or bags. 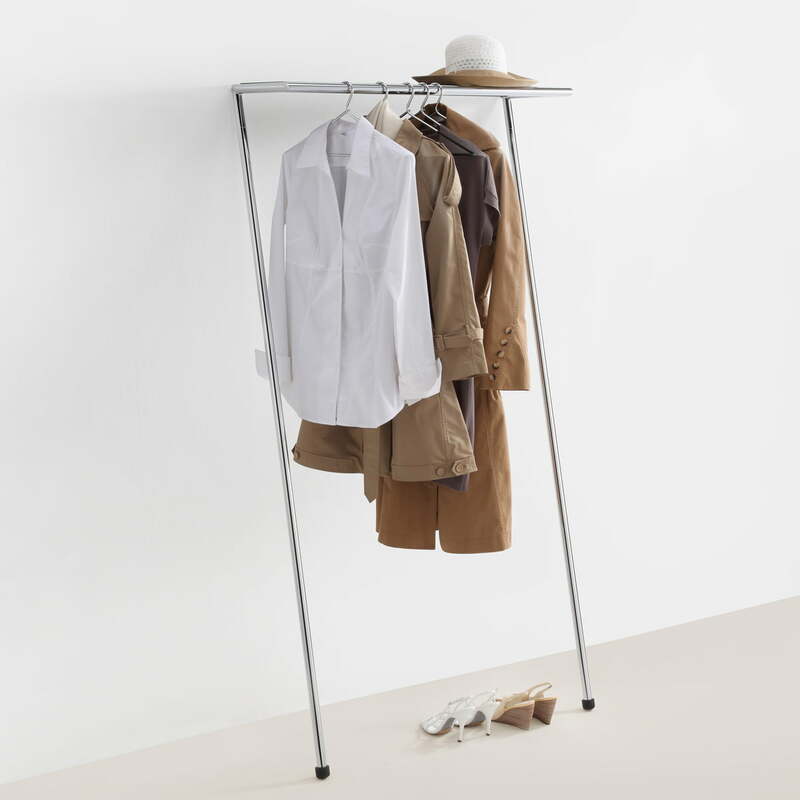 In the hallway as a coat rack, as a [link 116211|Clothes Rack}clothes rack in the bedroom or the office: Zen is always there where you need to hang your clothes. 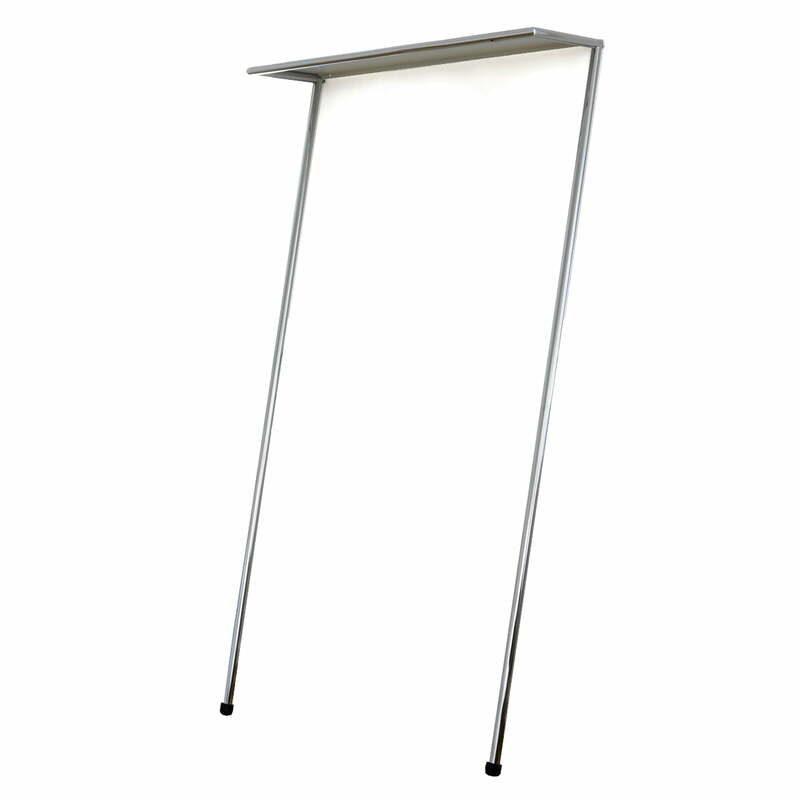 The lean-on coat stand Zen was designed by Beat Glässer in 2001 for Mox for which he, among other things, also designed the Lola Wall Panel. 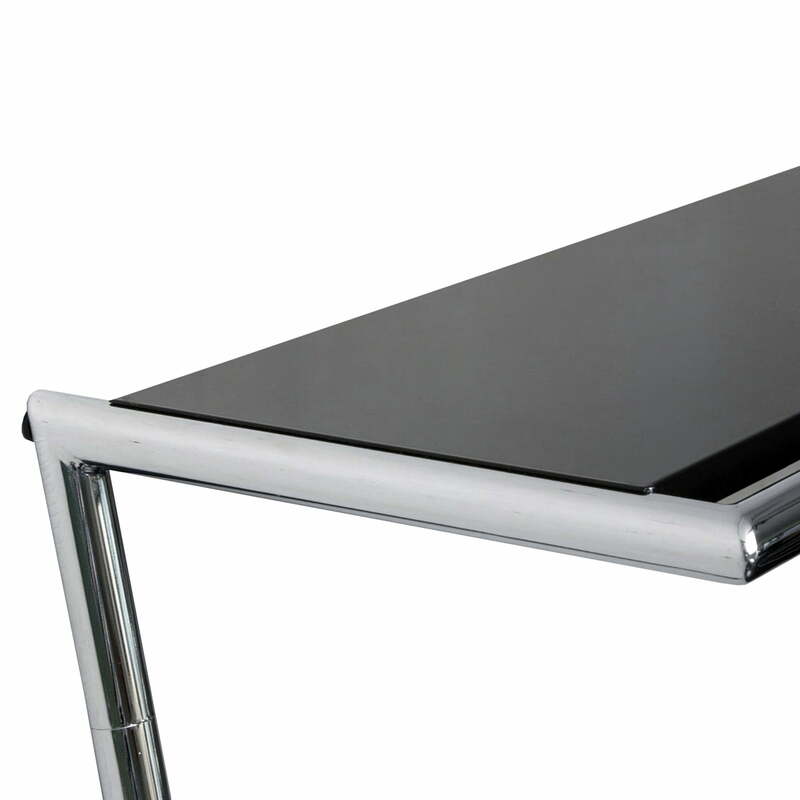 Zen is made of chrome steel pipes (polished or brushed) with anti-slip rubber feet. 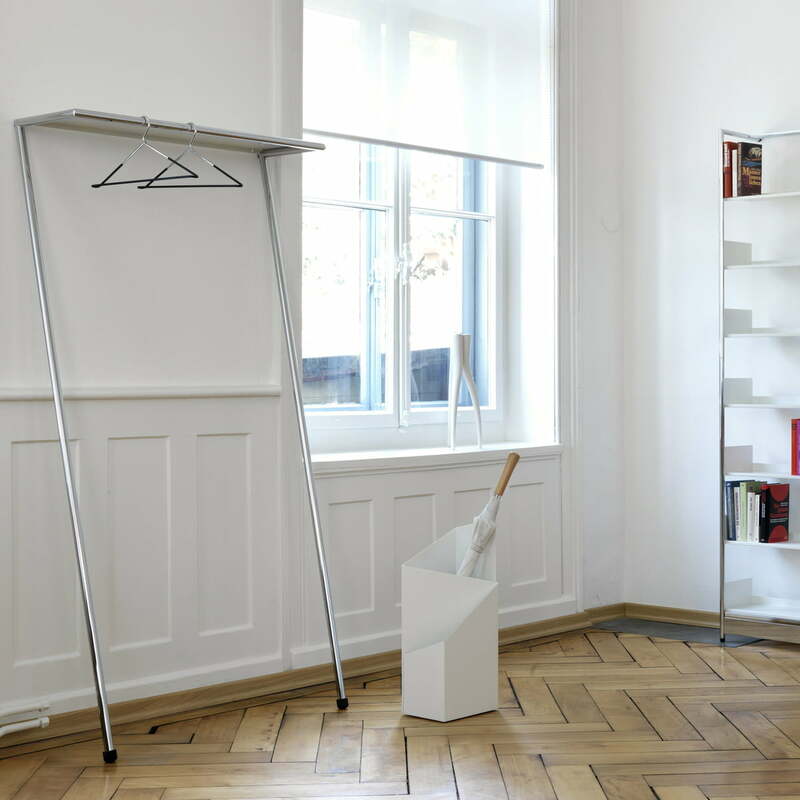 The shelf is produced from powder-coated steel and is available in white or black versions. 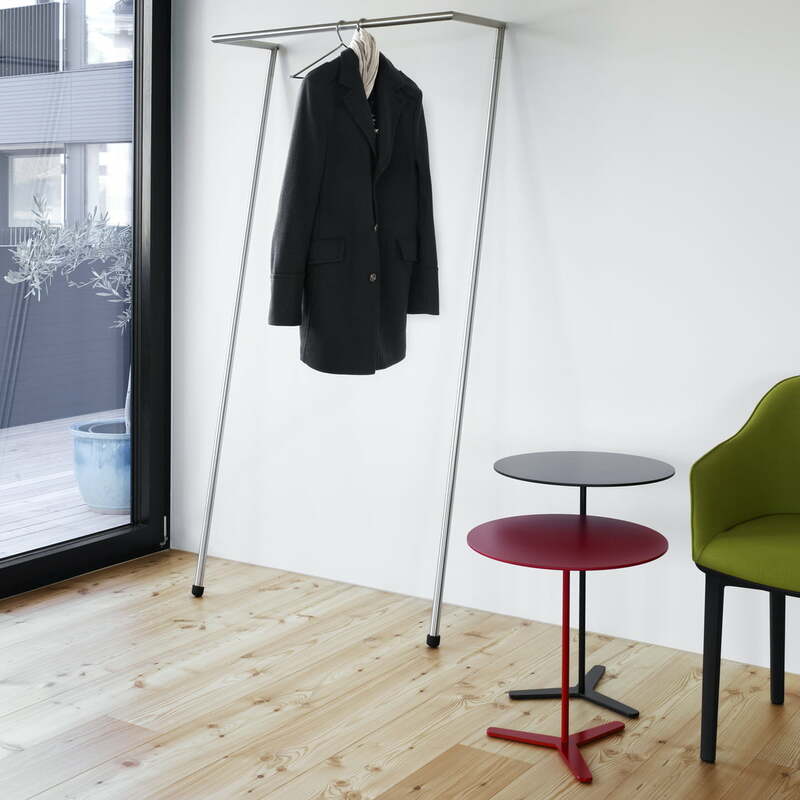 The Tre side table from the brand Mox, which was designed by Charles O. 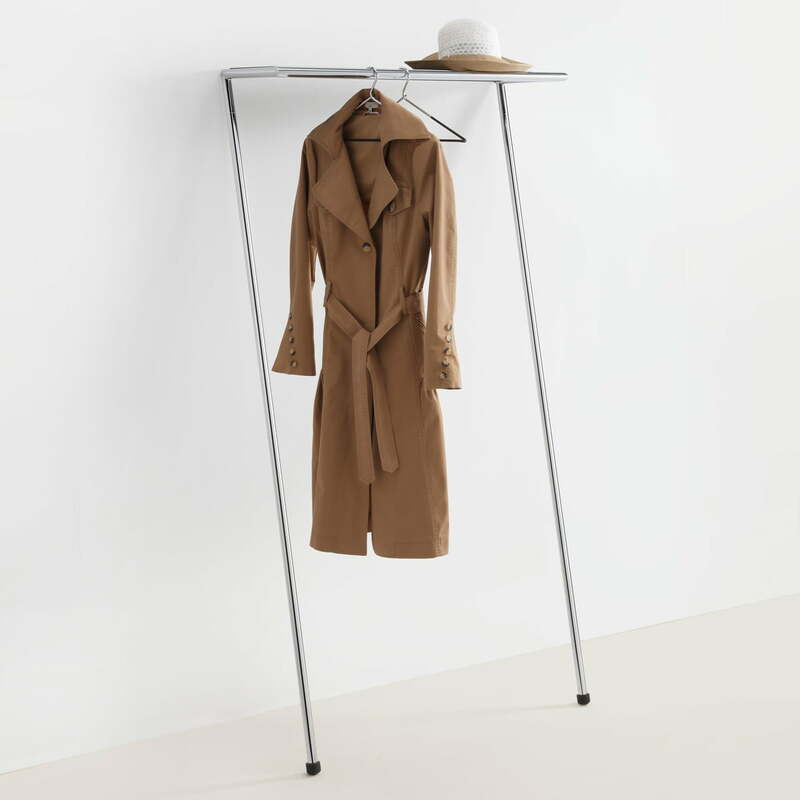 Job is simple in its appearance and timeless and looks great next to the Zen coat rack.